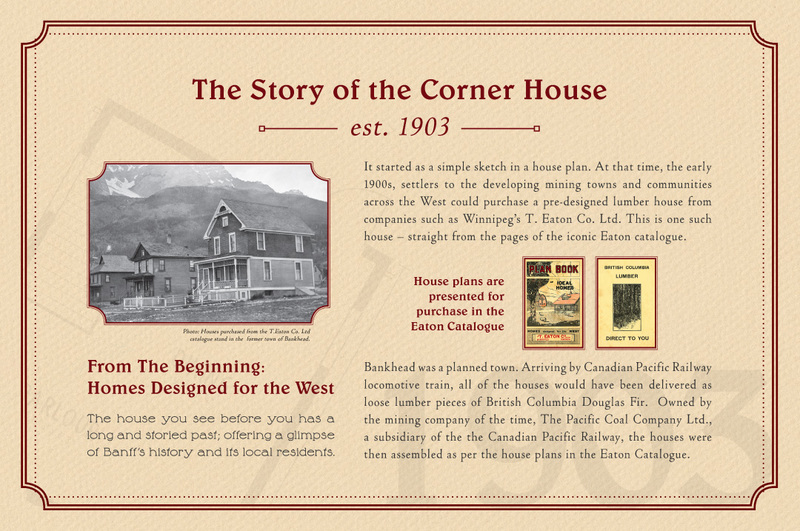 The Corner House originally a Bankhead house, has been moved a few times, and had some notable residents. 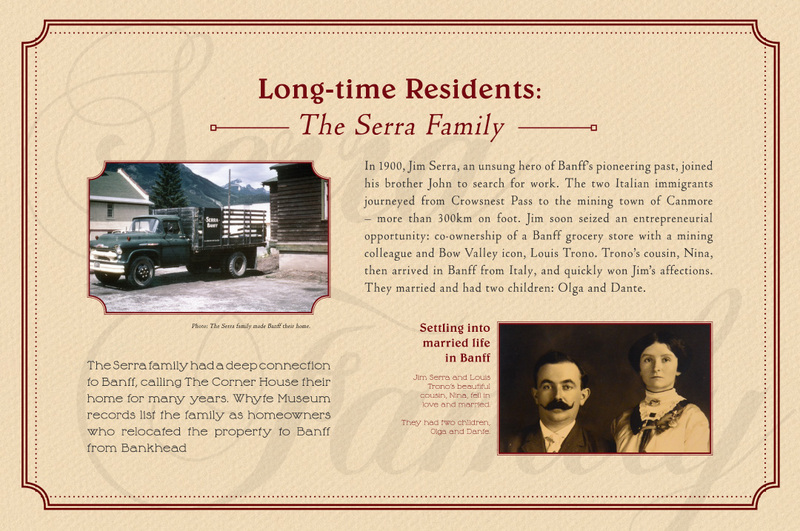 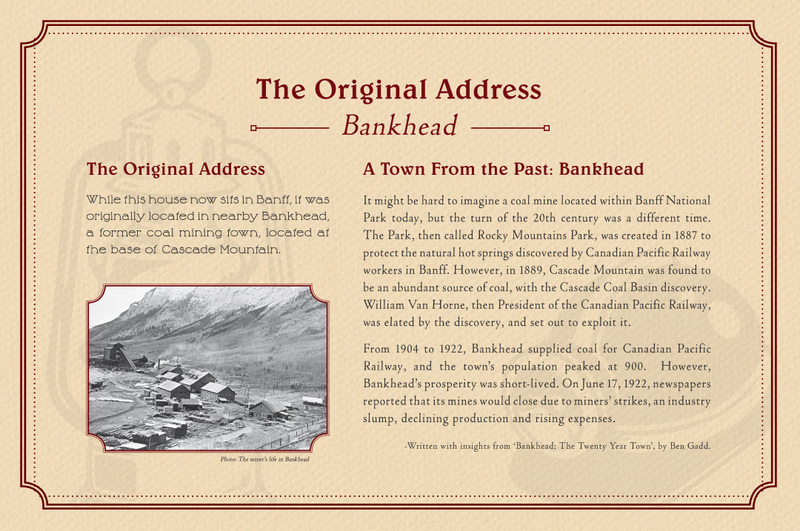 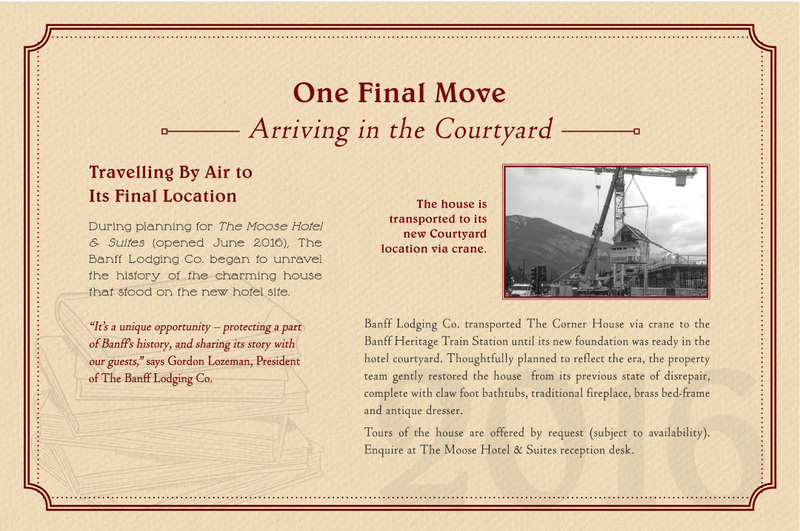 Click on each photo to enlarge it and read more. 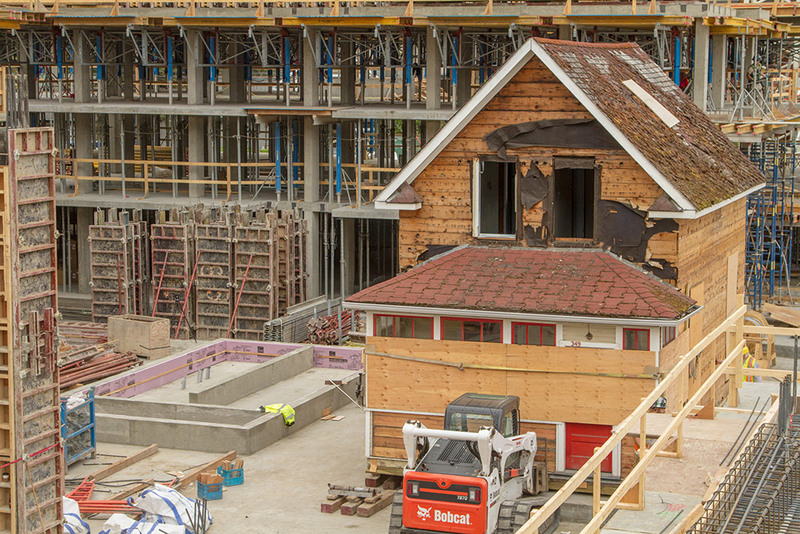 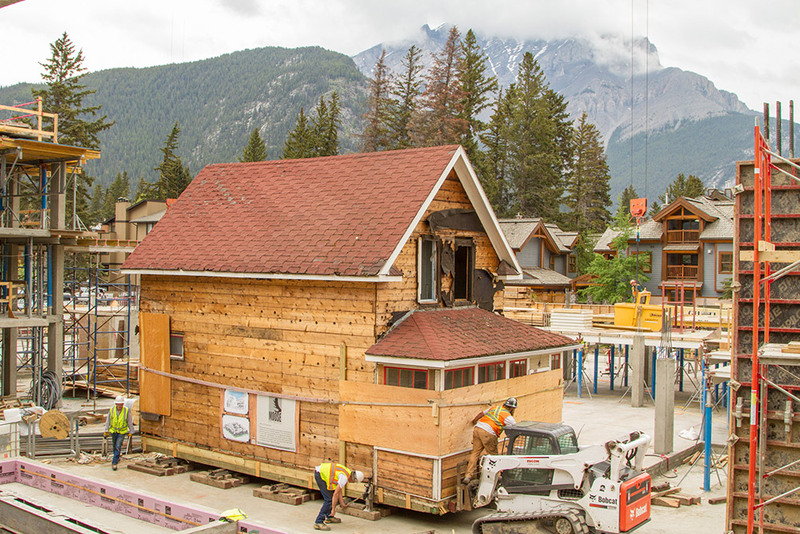 The House was carefully removed, preserved, restored and returned to its final heritage location in the courtyard of the Moose. 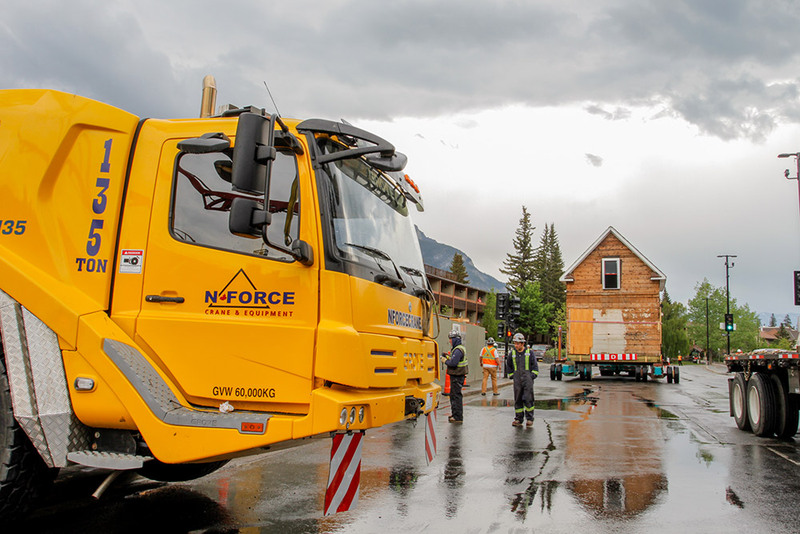 When moving the Leacock Residence back into position in the courtyard of the Moose, the house movers rested the house on blocks of ice from Safeway in order to retrieve their beams from under the house. 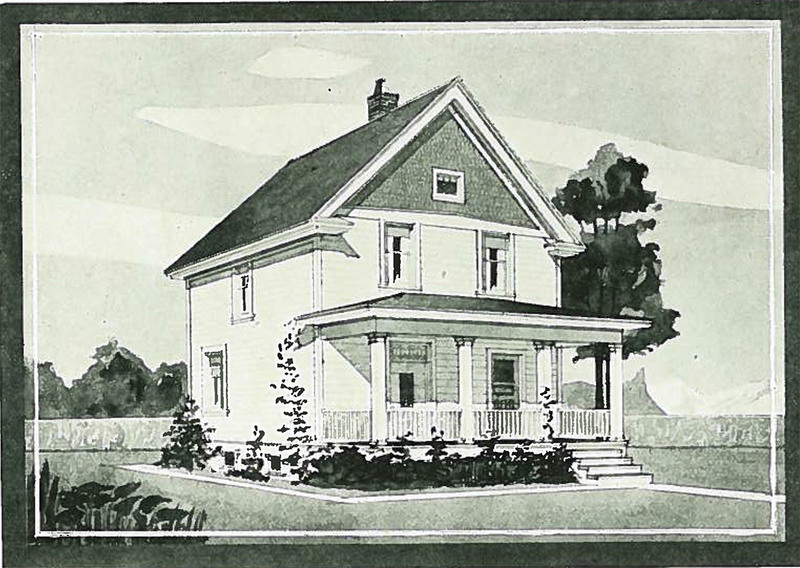 Once the ice melted the house was in its final resting spot. 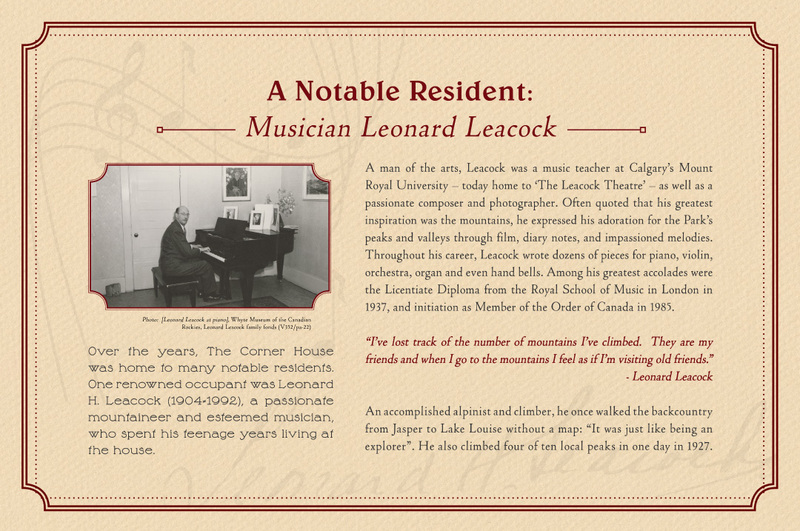 The Leacock Residence weighed about 25,000 pounds and could be supported by only one of the metal rods holding up the Lobby Bridge. 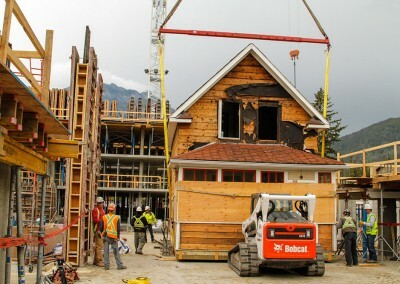 When the house was moved into the courtyard it had to be lifted with careful coordination by two cranes at the same time. 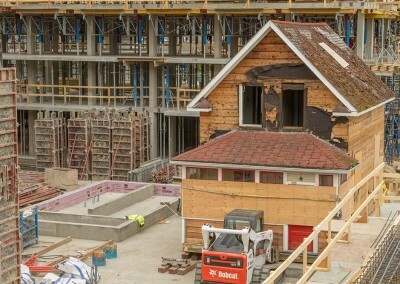 Still under restoration as of June, 2016, The House will have flexible purpose once finished. 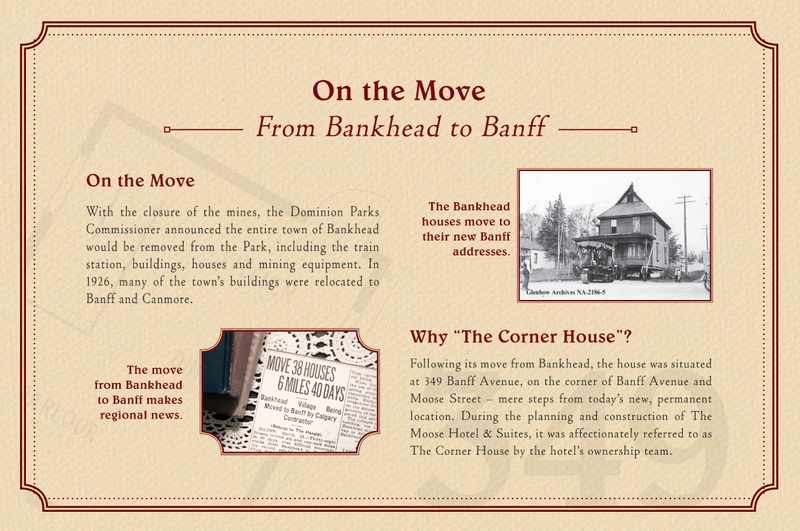 We anticipate using The House as a relaxing space for guests, for art or book launches, possibly to tell the story of The Moose in a heritage display, or to host small receptions. 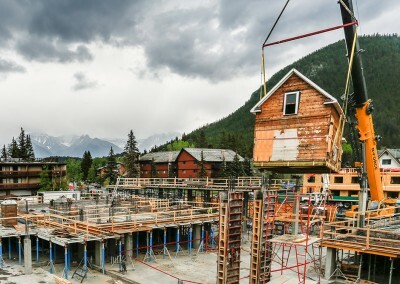 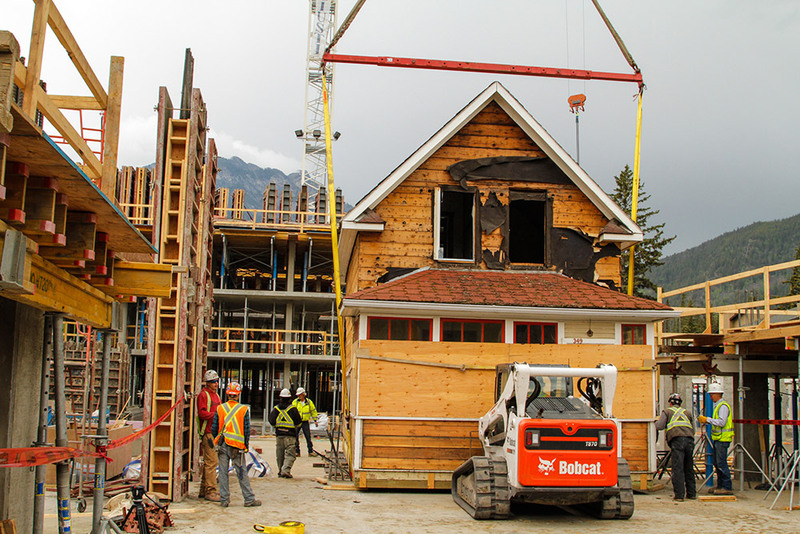 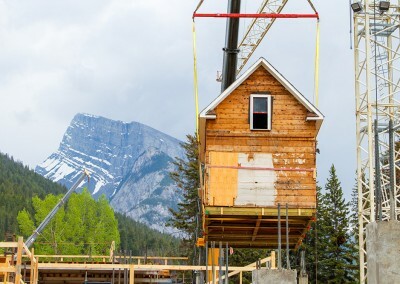 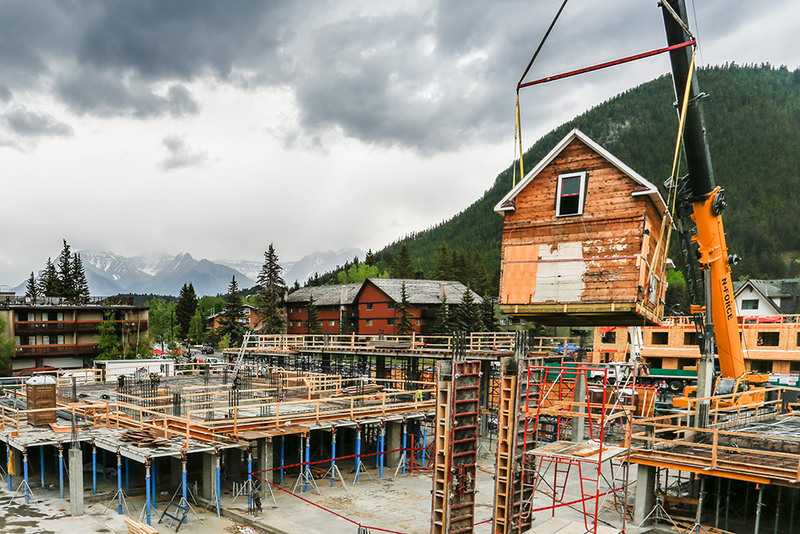 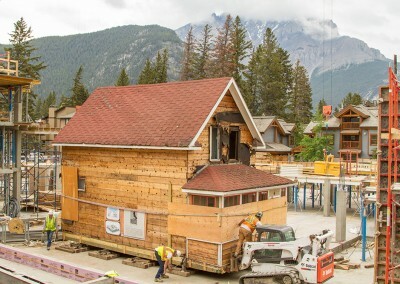 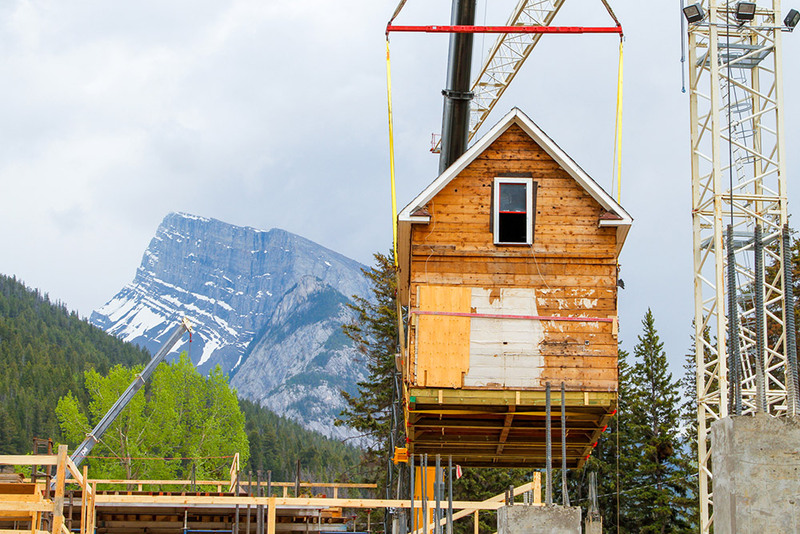 Watch the house movers put the Leonard Leacock house back to the Moose Hotel & Suites site from the Banff Heritage Train Station.